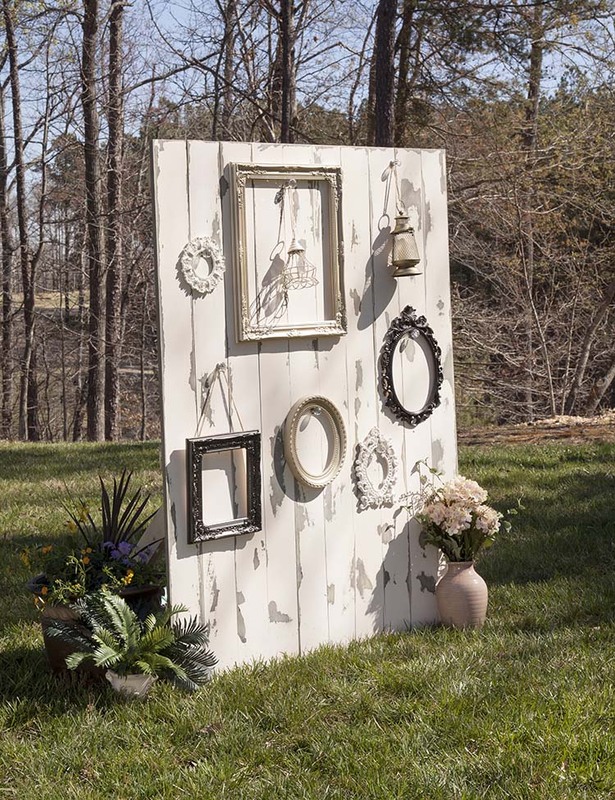 This DIY rustic wedding backdrop would be a cute addition to your wedding decor. It adds a vintage look to the scene, and it would be a natural backdrop for a photo booth or a guest book table. The decorative cabinet knobs and picture frames help create the old-fashioned look that goes with the distressed look of the wood panels. We’ll show you how to make this cute wedding backdrop wall in this step-by-step tutorial.